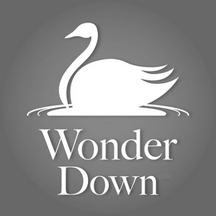 The Board affirmed a Section 2(a) deceptiveness refusal of WONDER DOWN & Design for “down alternative bed pillows; down alternative mattress toppers” and “down alternative mattress pads.” Applicant argued that its mark as a whole was not misdescriptive of the goods, but the Board pointed out that the mark may be refused registration if the word “DOWN” alone is deceptive. In re Perry Textiles Inc., Serial No. 86119296 (June 8, 2016) [not precedential]. 1. Is the term misdescriptive of the character, quality, function, composition or use of the goods? 2. If so, are prospective purchasers likely to believe that the misdescription actually describes the goods? 3. If so, is the misdescription likely to affect the decision to purchase? In re Budge Mfg. Co., Inc., 857 F.2d 773, 8 USPQ2d 1259, 1260 (Fed. Cir. 1988). Misdescription: There was no dispute that applicant’s goods are not filled with feathers (i.e., down). Applicant pointed to A.F. Gallun & Sons Corp. v. Aristocrat Leather Prods., Inc., 135 USPQ 459, 460 (TTAB 1962), in which the Board found the mark COPY CALF not deceptive for wallets and billfolds not made of leather. COPY CALF, however, was a play on the words “copy cat,” and the word “copy” immediately suggested to purchasers that the goods were imitations or copies of wallets and billfolds made of calf skin. In short, “CALF” no longer carried its ordinary meaning. Here, in contrast, “DOWN” has no relationship to “WONDER” such that it changes or lessens the misdescriptive import of “DOWN,” but simply implies that the down has special properties. Applicant did not explain how the word “DOWN” has some other non-misdescriptive meaning in the subject mark. Consumer Belief: Examining Attorney Gretta Yao submitted evidence demonstrating that goods such as applicant’s can and do frequently include down, and are advertised as such. Consequently, consumers will readily believe that applicant’s goods include down, when in fact they do not. Applicant did not dispute this point. Materiality: The evidence established that many consumers prefer down for their bedding and seek it out for its desirable qualities: it is warm, lightweight, and packable, and retains its loft longer than synthetics. Moreover, down-filled bedding commands a higher price, and that price disparity confirms the materiality of the misdescription. All three prongs of the Budge test having been met, the Board affirmed the refusal.